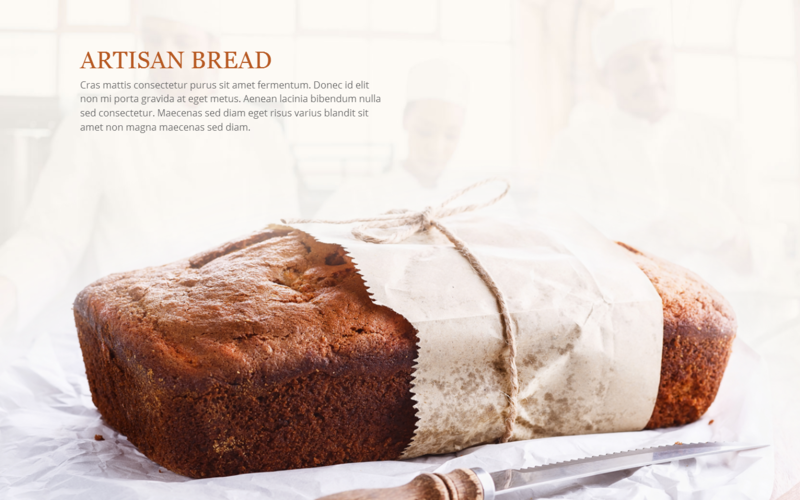 In this article we will see the Artisan Bread Section of the divi café demo. For sake of this article we are using the original images and text which is used in the original demo so that we can make it much closer to the demo. Now open Advanced Design Settings and put 47.25% as “Max Width” then scroll down and put 5.5% in “RIGHT” custom margin setting. Go to Image module settings and add an image path or upload a new image in “Image URL”. In divi café demo the image used is http://elegantthemes.com/preview/Divi/cafe/wp-content/uploads/2015/04/loaf.png . That’s all done here, the Artisan Bread Part is ready now, and it will look like. Feel free to post any question, suggestion and information about Divi Café Demo. In next article we will see how to achieve that dark background with two blurb modules till then stay tuned. Great series of tutorials. Learning as I go along and creating an amazing page. Look forward to your next post. Thank you! New post in this series is out published today .